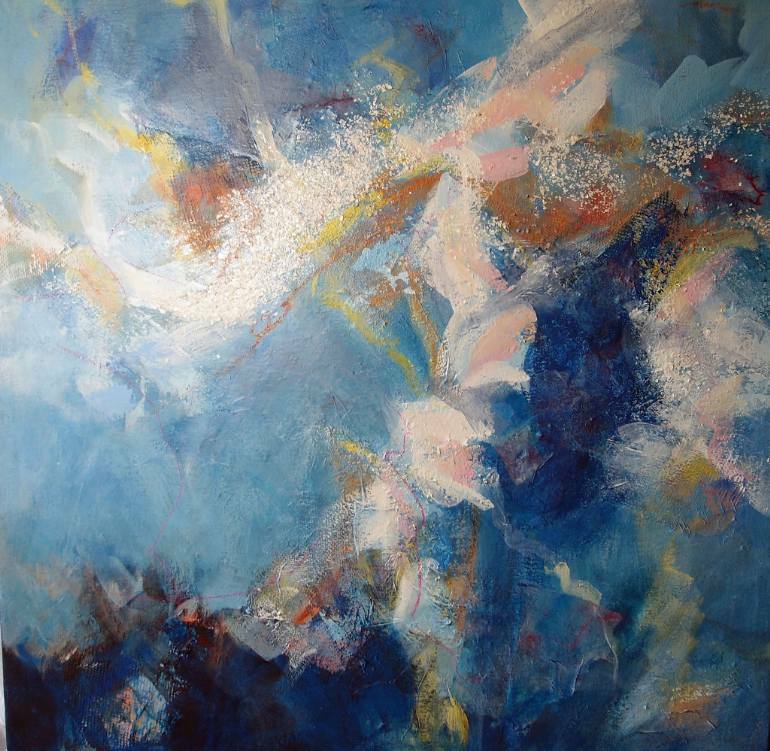 Joyce Gabiou has polished her skills as a multimedia artist over the last 35 years. 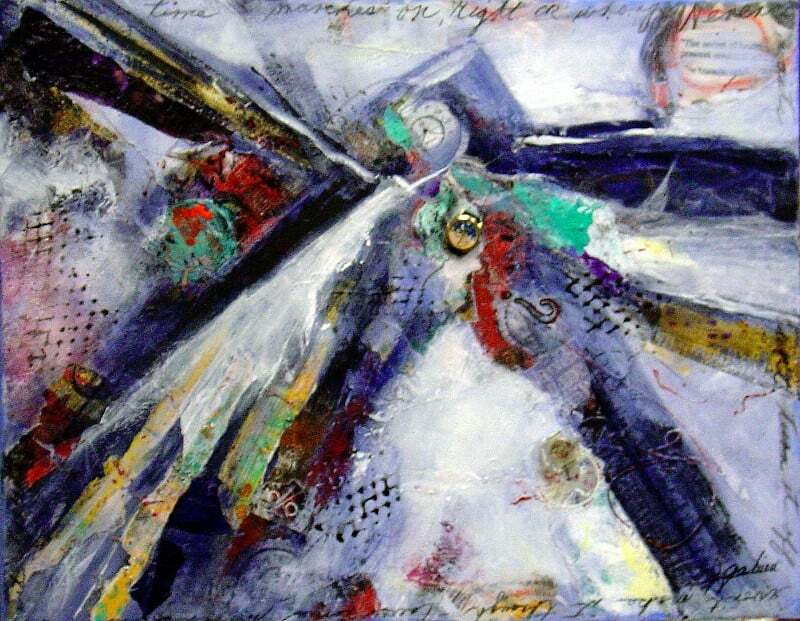 Now that she lives in Jacksonville Florida, she is working full time as an exhibiting artist and art teacher. 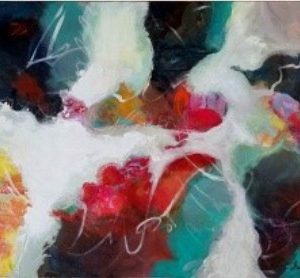 Throughout that time, her style has changed immensely, from realism to abstract, which she attributes to her constant study, passion and attention to her art. 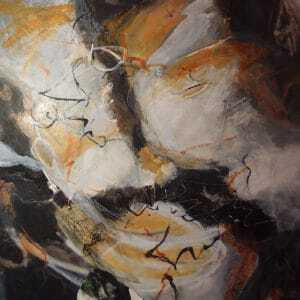 She has studied with many well-known national and international artists. Joyce sometimes finds subject matter is secondary to the tools that she uses. Color, shape and design are what guide her toward completion. Creativity needs to be shared and Ms. Gabiou enjoys teaching mixed media and experimental painting, inspiring others with their own creativity. An award-winning artist, Joyce has been published in Watercolor Artist Magazine, “Beyond the Brush”, Creative Workshop, February 2009. Also, “A Walk into Abstracts” Vol. II, featuring 27 contemporary artists by Sue St. John. 2016 Chosen for publication in Incite 4, a Northlight Book. Best of Mixed Media. Work has been chosen for inclusion in the Haskell Galleries. 2017 Oct. – Dec. Jacksonville Intl. Airport, “Abstracts Bold and Beautiful”.